BUT I have decided to set myself a challenge for 2012 - one which I can't really envisage myself completing, but which will be fun to try. I want to read (and hopefully review) a book published in every year of the 20th century. I'm calling it A Century of Books. I'll set up an ongoing list, which I'll link to whenever I read a book for A Century of Books, so hopefully the enjoyment won't be all mine. Indeed, I'd be delighted if other people wanted to join in - are you interested? So... 1900-1999, here I come. Or, rather, I will in three months' time, when 2012 gets around to starting... let me know if you'll be on board! One of the very first challenges I ever did, maybe even the first, was called reading by the decade or something like that. It was a similar challenge but you could go back as far as you wanted in time, but your decades had to be consecutive. I probably will join you. It sounds like fun. Oh, now I just read the post more closely, you are saying you are going to read one from each year? Yikes. I might have to stick to decades. That means you have to read 30 books from the seventies and later. I think I will enjoy seeing your reaction to that. 1932 Heat Lightning by Helen Hull. Nicola Beauman raved about it on the Persephone site - no surprise, she was right. I was able to get it at a private library in NYC. It will remind you of Dorothy Whipple. There appear to be many copies available on line. An amazing book. Looks like fun! I think I might join in too, although 2012 still feels a long way off to me. I don't usually get up to 100 books in a year, but like Thomas I would be keen to read one from every decade. Wow! That's dedication. I probably read about 100 books a year but I couldn't commit to reading only one from a certain year -- and I have waay too many 19th century books to read. I could probably do a decades challenge though. Good luck and I look forward to your reading list. Let us know if you need suggestions. 100 books in a year! Just as well it's a leap year - that's one book every 3.66 days. Wow! When will you find time to do the washing? (or sleep?) Make sure that a lot of them are thin ones! I am well on into Hilary Mantel's 'Wolf Hall' (for book group) and am suffering wrist fatigue from holding the book! But perhaps 20th century books aren't, on the whole, so thick? Fascinating idea but as people are pointing out that is indeed one book every 3 or 4 days which does sound quite a grind. I think if I did it, I'd look at what I'd already read and then fill in the gaps. But that's cheating, I suppose. By the way, you say "it's incredibly rare that I buy books" which is so not true it must be a typo? Fascinating idea Simon but I'm not fond of challenges so I won't join you. I'll look forward to seeing your list. Harriet - I think you missed the 'un-' before 'rare'! Wow, this is quite a challenge! I don't think I could manage it, but I applaud your effort. 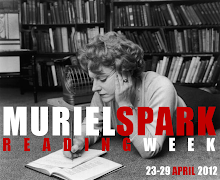 As dreaded as the 70s, 80s, and 90s seem to be, take heart - Muriel Spark published 11 novels in those decades. An excellent way to fill in 11 years! You certainly have a vast pool of titles in your possession to choose from! I'll be watching from the sidelines but like Thomas, if I lay out some of the books I plan to read soon the decades just might fill in. I don't think the 1970-1999 period is at all "dreaded", if I may take issue with Dan. 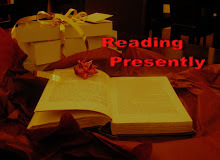 Look at the published works of Bellow, Murakami, Grass, Piercy, Mahfouz etc. and then see if you can still say that! I can't see you picking the Scarman Report as your choice for 1981. Though given that you were praising Oliver Sacks yesterday you might like the idea of making 'The Man Who Mistook Is Wife For A Hat' your 1985 selection? Ohhhh scary! Not the number of books - I'm already past 100 for the year - but the expectation that they'll randomize themselves for you. :) I am doing a challenge this year where I'm supposed to read a book set in every US state (plus extra credit for foreign locations). I sort of thought it would take care of itself but it hasn't, so much. :) No, really, I think it's a great plan and I wish you all the best and can't wait to see how it goes! I love this challenge! I'd love to join in, too, because I'm a sucker for reading challenges, but I've found my review schedule doesn't allow for the freedom challenges require (to succeed). Still...I'm seriously tempted! Strangely, I've had a post called "The 20th Century Reading Project" sitting in my drafts folder for ages. The same objective, but I couldn't do it in a year and I intend to count any book I've written about since I started blogging three years ago. Maybe we could become affiliates?! Last year, I toyed with the idea of doing something like this, but not as a challenge, just as a long-term project, along with another involving all the countries of the world. (Now that I think about it, I might have gotten the idea from Lizzy's projects on her blog.) Then the idea of making and updating a list made me feel all stressed out, so I didn't do it. But now that I've fully weaned myself from challenges, maybe I'll take this on as a project, with no time limit. I would love to do this challenge, sounds like fun. But I'll need to stick to 1 per decade as 1 per year wouldn't be possible for me. What a fantastic challenge! 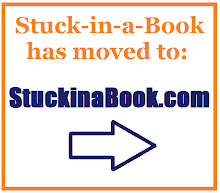 I will try to follow along, too, as I need to read more fiction! If you need a book from the 90's, try reading Gail Anderson-Dargatz's award-winning "Cure for Death by Lightning", a work of fiction which is partly based on household tips and recipes belonging to the author's mother...You might find it interesting, too, I hope! Wow - I like the idea of a title from each decade - I might do that with my VMCs... Can't wait to follow progress! I have a reading list that I call "Reading Through the Centuries" - it's not a challenge -just my personal reading list of books from 1700 - 1999. I started reading through the list in order but the thought of not reading anything post-1900 for something like two years was making me nuts so I decided that reading the list in order was too confining for me. Anyway, the books are organized by year so if you'd like to take a look it's posted on my blog under "Projects"
What a fantastic idea! I think I'd want to allow myself longer than a year to complete the century, just so as not to regulate my choice of reading too much. I don't have any problem with reading 100 books in a year, but they must cluster around certain periods - the fifties are probably very over-represented, although if I were to re-read all of Angela Thirkell that's 1931-61 pretty much covered! But I don't think that would be a proper challenge, so I think I should limit the number I could count. I won't try to emulate LizzySiddal and aim for 100 authors, though _ I'll just look on admiringly. Love the idea!I don't usually follow reading challenges either but this sounds pretty flexible. Maybe I'll try something similar this coming year. I'm not good with challenges, but I will consider this one as it's goopd for me to have a structured plan. I really LOVE the idea of this Simon and would LOVE to join in BUT sadly, well not sadly as I am excited about it, with Bookmarked moving venues next year and getting bigger and the Green Carnation Prize 2012 plus my own reads I just want to read I think I shall have to very envioulsy watch from afar. Maybe... just maybe... I could consider doing something similar in 2013 or thereafter? Looking forward to seeing how you get on with this. I've posted about this on my blog! Looking forward to it (even if I am taking the easy option).